Ladbrokes Bingo belongs to one of the biggest bookmakers in the UK. In the top ten list of Virtue Fusion, Ladbrokes secures 3rd position. The layout and design of the site are different than regular bingo sites. Reason is that with the same name Ladbrokes, they operate in other gaming verticals also. One username and password works well across all the divisions they work. For Example: If you want to try their Casino, just select Casino from the top menu bar and login with the same details as of bingo. Recently Ladbrokes has come up with an exclusive welcome bonus offer. Now all new joiners will get 25 bingo bonus, 5 mini games bonus and seven days of free bingo on deposit and spend of a tenner. Isn’t that awesome? Apart from the networked promotions they offer a couple of exclusive promotions too. Players have more chances to win generous rewards with these in-house promos. The latest offer is known as “On The House Rewards”. I urge the readers to check the promo rules for comprehensive details. At Ladbroke, you will get a rich list of Bingo and side games. Along with regular 90, 80 and 75 Ball Bingo you can play in Multiplayer and Special Rooms also. While playing the side games, you get the feeling of the real casino. The quality and effects of all the games are splendid. I think the credit goes to the winning combination of Ladbrokes and Virtue Fusion. Ladbrokes Bingo comes in the category of bingo sites that contribute Low wagering requirements to their players. 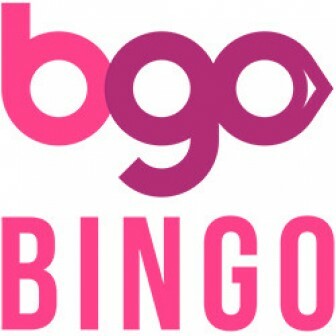 Customers have to wager their bingo bonus just once (2X) which is not a tough task. Few promotions have different betting needs. I would suggest my readers to check T&C’s for detailed information. We display only those sites that consider fair practises, and I must say that this is an excellent bingo website all means. They use Alderney Gambling license that indicates that you are in safe hands. I recommend Ladbrokes Bingo to my readers as a must play online bingo destination.